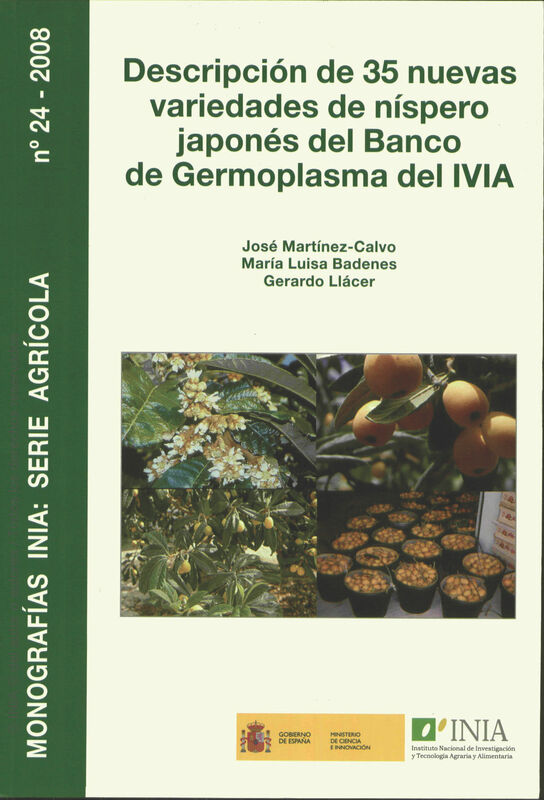 This monograph follows a previous one published in 2006 that included a description of 26 loquat (Eriobotrya japonica Lindl) varieties from the IVIA germplasm bank. Previously, a description of the first 34 accessions from the bank had been published in 2000. This volume includes 35 new descriptions of accessions. Data gathered consisted on phenologic, pomologic and agronomic characteristics from three crop years. Every description includes selected characteristics from leaves, flowers, fruit and seeds. The potential interest of the accessions in terms of adaptability to the environmental conditions and agronomic value are included. The most important cultivar in Spain named “Algerie” has been included as a reference. Physical Description : 78 p.; 17x24; il.